Lennart de Lange | Run S.M.A.R.T. 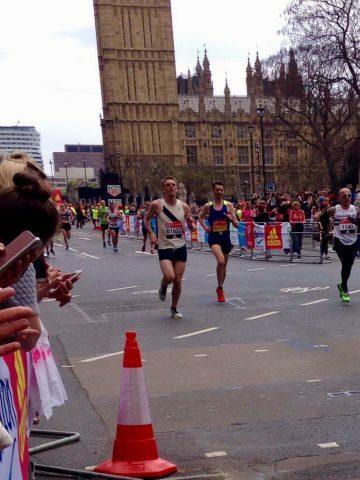 Lennart de Lange of Amsterdam, Netherlands completed his 18-week marathon plan right on target at the London Marathon. Along the way he even set a new half marathon PR running 1:18:55. When we originally uploaded Lennart’s plan to his VDOT O2 calendar we projected a finish time of 2:45:12. After he ran his 1:18:55 (59.3 VDOT) in Week 12 we consulted with him that he was right on target since the equivalent performance for the marathon was a 2:45:01.